The world of stock market trading is no longer within the exclusive realm of pinned-stripped stockbrokers. With the advent of the Internet, today it is possible for everyone to benefit trade stocks on any one of the different stock exchanges around the world. However, if you want to increase your chances whatsoever of making a profit from your stock trading activities, as opposed to the very real prospects of making a loss through human error, you need to make sure that you have access to the very best software package available. What should a stock market software package comprise of? Basically, your trading software should have all the necessary information that you need for both technical & fundamental analysis, or either of the two depending on your trading inclinations to research, set your investments goals and make investments Plans. Technical indicators – which use one of a number of different methodological theories (of which there are 8 different principal strategies), known as indicators, which help investors to formulate their short-term and long-term trading patterns. Technical indicators are sometimes complex formulas that use previous trading activities to try and formulate future stock trends; thus helping you to determine whether or not you should be buying, selling or holding a position you have. Charts – the second aspect central to any stock market software program should be stock charts. As is the case with technical indicators, and often used in conjunction with technical indicators, stock charts use information collated about a particular chosen stock to help determine trends. Again, using the information collected, which you can review in the form of different types of charts, you can then decide whether you think this is the right time to buy, sell or hold your position. Ticker-tape prices: one of the most important aspects to trading stock is time. It is vital that traders use time, as far as possible, to their advantage. Thus, it is crucial that any stock market software you have provides you with real time ticker-tape prices. What’s the difference between a downloaded stock exchange software package and Internet-based software package? Today it is possible to have your stock market software package either in the form of a computer program that is downloaded onto your home computer or available to you via the Internet. The advantage of having your software package available on your home computer is that you can analyse the information in your technical indicators and stock charts without always having to be logged onto the Internet. On the other hand, the advantage of having an Internet based software package is that you can access your information from any terminal that has Internet access, rather than having to take your computer with you everywhere you go – which you would need to do if you had your software downloaded onto your computer. Should I get free or subscription-based stock market software? The last thing you need to consider is whether or not you should be making use of a free software package or whether you should belong to a subscription-based program. One of the vital elements to making this decision will be the arrangement you have with your stock market broker. 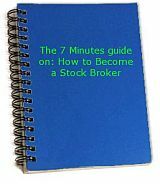 In most cases your stock market broker will provide you with some form of software when you open your account with the broker. If that is the case, then make use of that software program, provided that it meets all of your basic needs. However, if your stock broker does not provide you with a software package as part of your brokerage account, you will then need to decide whether or not to pay for a subscription service. In making this decision, keep in mind that while both technical information and stock charts are composed of historical information, in order to be effective you need to have up-to-the minute information. As such, before you decide on any stock market software, it is always advisable that you take the time to ensure that you are getting a package that provides up-to-date, timely and accurate information – which includes the all important ‘real time’ stock market price ticker-tape.